Listed amid the celebrated real estate agencies, Creative Creation is involved in providing consultancy services to all sorts of property loans. Operating from Dehradun (Uttarakhand, India), we assist business & individuals, who are in need of property loan. With our services, our team of consultants coordinates with clients and assists them in acquiring loan as per the need and financial status. We can be counted for acquiring residential property loan, commercial property loan, home loan and a loan against property. Getting in touch with us will enable you to acquiring all sorts of property loans at low interest rates and that too within the minimum possible time. 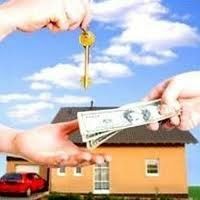 For scheduling an appointment with our property loan consultants in Dehradun, clients can ring us on the given numbers.